We used to talk about the home studio. Then the bedroom producer. Then laptop music. Now it’s more like the everywhere studio – and the computer may be nowhere to be seen. But just because this is a category that’s friendly to newcomers doesn’t mean the music is any less serious. 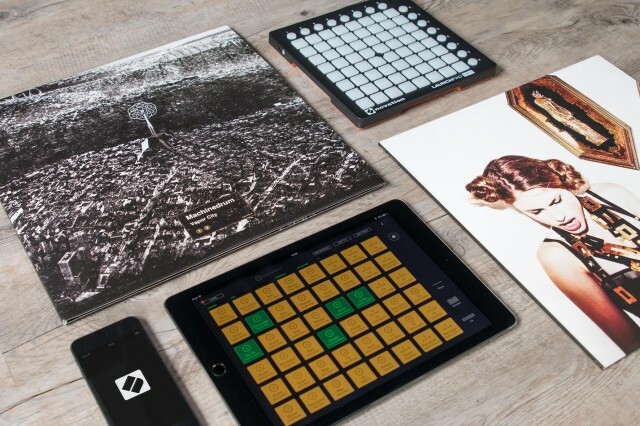 This week, Novation is promoting its Launchpad with some heavy artist collaborations. Kicking off a new soundpack set are Machinedrum (Ninja Tune) and Lapalux (on Brainfeeder, the label most associated with Flying Lotus). I find these to be really nice choices. Vapor City is really one of my favorite electronic releases of recent years – and I will be the first to admit I’m completely biased by the fact that Travis Stewart (Machinedrum) is a lovely gentleman. The Ninja connection is interesting, too. As we noted last week, Ninja Tune – and co-founder Matt Black – are committed to this notion of remixes and sound packs as a different way for artists to reach fans, seen in their own iOS and Android remix app. Brainfeeder have likewise been innovative in looking at different ways of reaching fans, with attention to the ways the technology around music changes. Now, it may sound like I’m “shilling” for Novation. (I saw that delightful term of endearment applied to me a few times this week in comments.) But you can only shill if you don’t disclose. Full disclosure: Novation brought me to their London office last week to work on a hackday on their Launchpad Pro. I had a lovely time and some pints with the Novation folks and the men and women working on their hardware, and am indeed left with warm, fuzzy feelings about them. One of the things in their London office is the team responsible for mobile apps. And to be perfectly frank, I was really curious – like, who is actually using these things? They seem cool, but a lot of us remain entirely in the Ableton Live / Novation hardware controller scheme and don’t pay them much mind. So, who’s using the apps, and how? Launchpad came to iPad just over two years ago, and iPhone last year in May. Now, Novation tells CDM, they’ve got roughly equal usage of iPad and iPhone users. There are 3.5 million users, they say – meaning this is one of the leading music-making mobile apps, full stop. It’s nice to have these sounds, but you can bring in your own sounds, too. You can now use Audio Import to take sessions from laptops and work on them on the go – a good way to get away from your computer, finish stuff on the go (or reclining in bed, or whatever), or even adapt a session to live use. In short, there’s an obscene amount of activity. You can, if you so choose, make the Launchpad app the center of your workflow – and augment it with MIDI hardware (from Novation, or not from Novation). There’s a terrific Tumblr blog full of this stuff, with tutorials and videos and so on. It’s eye opening – I’m meant to be an expert, and I might now dig in to an app I’d otherwise ignored, now that I see this stuff. That’s sort of the way the Internet and YouTube feel these days – you’re kicking the a** of us ‘experts’ sometimes. And thank you for that, seriously! CDM readers, anyone using this app? We’d love to hear how. Or maybe you’ve found something else that fits your needs better (especially on Android, which doesn’t have it)? We’d love to hear that, too.